Editor’s note: There is no doubt that surviving in an urban area in a major, grid down disaster would present some tough challenges for average people. Today’s guest post about what to do if SHTF in your city illustrates some good points about surviving in any major city if SHTF. There are many appeals to living in a big city. Cities are centers of commerce, offer the luxury of convenience, and are often the location of high paying jobs. While these appeals draw large populations to cities, they’re not without their drawbacks. Let’s use New York City as an example. New York City is an iconic location. It is home to some of the world’s tallest buildings and is the capital of the financial sector. Some of the most famous movies were set in New York City, as Central Park offers an incredible backdrop. For these same reasons, though, New York City is a target for terrorist attacks. Images from September 11, 2001 are still vivid in the minds of those old enough to remember the horrifying event that took place. Thankfully, a SHTF event of that magnitude has not again plagued the island. This relatively secure period the city’s inhabitants have enjoyed should not breed complacency. While it’s important to remember 9/11, it’s even more important to ensure we’re prepared for another SHTF event. While Forstchen’s novel is just a great piece of fiction, it does push you to think about cities in the aftermath of an attack. So you’re better prepared for this potential eventuality, I’ve listed three plans you can implement to stay safe if SHTF in a big city. If SHTF, one of the first decisions you need to make is whether to bug-in, or bug-out. If circumstances call for the former approach, it’s important to secure your location, which is almost undoubtedly an apartment. Lock your door and reinforce it with heavy items. Cities tend to have some of the toughest gun laws in the nation, so other means of defense may be necessary. It’s good you undertook the advanced preparation of building a supply of unperishable food and water to last you and your loved ones through your bug-in period. You may be hunkering down for a few weeks until the situation gets resolved. If, however, the situation fails to improve, you may need to escape. Leaving a city is no small feat. Traffic, both of the foot and car varieties, can slow a journey in the best of circumstances. If SHTF, it’s easy to imagine an even more difficult escape. A plan must be made in advance. Again using New York City as an example, there are two main routes of escape: the Holland Tunnel and the George Washington Bridge. The journey would need to be made on foot, since congestion would make travel by car an infeasible option. Dress should be appropriate for the season, as should the items in your bug-out bag. Avoiding the avenues and taking smaller streets would help you to reduce contact with other people, thereby exposing you to fewer risks of hostile confrontations. It’s worth noting that some of the more well off preppers have rented boats that they will use to escape New York City following a SHTF event. This means of escape isn’t accessible to most of us, so we’ll need to take a longer, more circuitous route off the island. With the proper preparation, though, an escape to safety from any city is possible. Humans are communal by nature. This inherent attribute proves to grow stronger in times of grief or shared loss. We saw just how supportive the nation was of New York City following 9/11. Safety, security, and recovery are all more effective when attempted jointly. 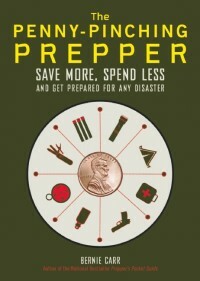 Manhattan preppers created the New York City Prepper’s Network, a group of like-minded individuals share and learn about emergency preparedness. Groups like this aren’t just helpful in preparing for disaster; they could be helpful in pushing through them. By meeting with a group in the event of an emergency, you may increase your chances of survival. The diverse sets of skills and collaborative aspects within groups could provide their members with the edge needed to survive. Cities have very unique sets of challenges that their inhabitants would encounter if SHTF. Prior preparation is of critical importance to your survival. By knowing how to bug-in, bug-out, and how to find safety in numbers, you can persevere through even the most trying SHTF scenarios. Hi Preppaaja, Great! 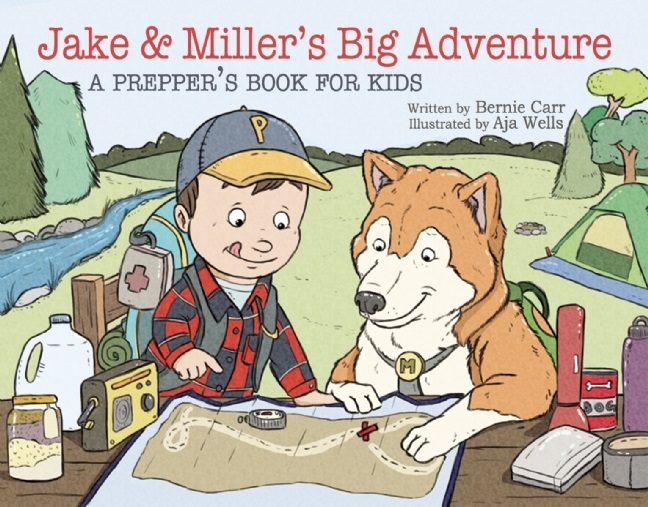 I am glad to hear about preppers in Finland. You are off to a great start! Thanks for the comment.